A single point of access for information and assistance on services offered in the county. The CRC serves young adults, families, people with disabilities and the older adult. Consumer-focused staff will provide an unbiased source of information and options, allowing the individual to choose from a wide range of programs. The CRC is located at Senior Services, 108 Wayah Street, and is open Monday through Friday, 8-5. Contact CRC at (828) 349-0211. Services are available to people of all ages. To report suspected fraud or abuse in assistance programs (Medicaid, Work First, Food Assistance, Child Care, Low Income Energy Assistance, Special Assistance), please call (828) 349-2124 and ask for the fraud investigator. Please try to provide person’s name, address, contact information, names of persons living in the home, place of employment, income in the home and what the person is doing to commit fraud. More information on reporting fraud can be found here. Medicaid provider fraud may be reported to 1-800-662-7030 and Social Security fraud may be reported to 1-800-849-5195. Public Assistance applicants and recipients are provided an opportunity to register to vote or to make changes in their registrations when they come to DSS. The completed registration forms are sent to the Board of Elections for processing. N.C. residents who receive Medicaid, Food and Nutrition Services, or Work First Family Assistance are eligible to receive a fishing license waiver. This waiver exempts the holder from purchasing a basic fishing license when fishing in inland, coastal and joint waters. This waiver is valid 12 months from the issue date and may be renewed annually through the local DSS office for those who continue to meet the eligibility requirements. In addition to this subsistence license waiver you are also required to carry a means of identification indicating your current address while fishing in inland waters. Children 16 years of age and older are required to have a valid fishing license. NC Division of Vocational Rehabilitation counselor provides counseling, training, education, medical, transportation, and other support services to people with physical or mental disabilities in order to help them become independent or job-ready or both. VR counselor is located at DSS one day a month for scheduled appointments. For more information please visit the NC Division of Vocational Rehabilitation website or call (828) 349-2124. NC Division of Services for the Blind social worker helps blind and visually impaired people be independent. 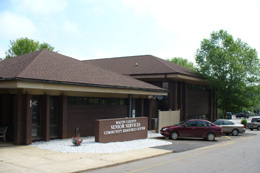 Social Worker is located at Senior Services on Mondays and most Fridays. For more information please visit the NC Division Services for the Blind or call (828) 349-2537. In the event of a disaster or potential disaster, Emergency Management may open a general population or special need shelter. Social Services and Senior Services staff are trained in Red Cross Shelter operations and provide basic mass care when activated by Emergency Management. Public announcements of shelter location(s) will be made via local radio and television stations when shelters are opened. Please do not call 911. For a list of items to be brought to a shelter, please click here.